Motion Array Is Now Offering DaVinci Resolve Templates! It’s official! Motion Array is now offering DaVinci Resolve templates! As most of you know, we’ve traditionally only stocked templates for After Effects and Premiere Pro. And while these Adobe products will always remain the linchpin of our marketplace, we have decided to shake things up by throwing a new range DaVinci Resolve templates into the mix. Well for starters, we were seriously impressed with DaVinci Resolve’s latest release. 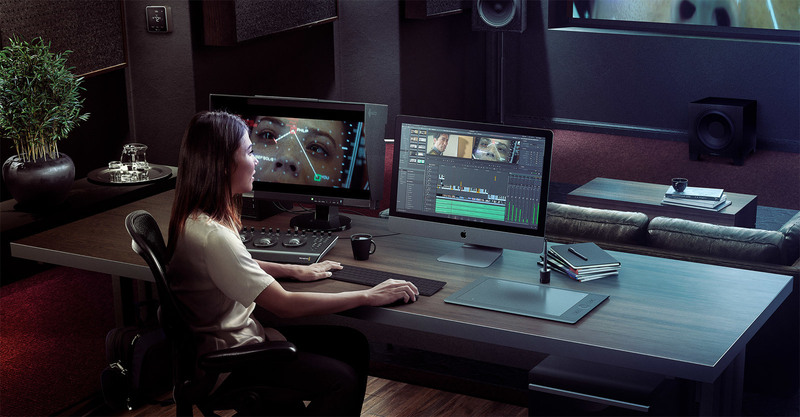 By rolling its non-linear editor, industry-famous color corrector, Fusion VFX, and Fairlight audio mixing engine all into one incredibly powerful piece of software, DaVinci Resolve cemented its place as one of the best video editors on the market to date. And here at Motion Array, we are aaall about what’s best! Secondly, in addition to its $299 paid professional application DaVinci Resolve also offers a free version of its video editor, which for us this is super important. Since we know how many of you are working with little-to-no creative budgets, being able to offer motion graphics products that won’t require you to splurge hundreds of dollars on software in order to use them will be, well, kinda nice. For all of us. And to make things even nicer, we plan to periodically release free downloadable templates compatible with DaVinci Resolve, just like this Free DaVinci Resolve Titles Template right here! Yep, we know what you’re thinking: free video editing software + free motion graphics templates = virtual high fives all around! Shine Titles DaVinci Resolve Templates from Motion Array on Vimeo. For anyone looking to jump onto the DaVinci Resolve bandwagon, now is definitely the time to do it. The technology is better than ever, all the cool kids are doing it (and by cool kids we mean us), and best of all: you stand to save alotta dosh! So go on...step out of your comfort zone and give it a whirl!